INDUSTRIAL AND COMMERCIAL HEATING, VENTILATING AND AIR CONDITIONING. Looking for eco-friendly HVAC systems for your business? Cutting Edge Services, Inc. is ahead of the curve. Conserve energy. Save money. Cutting Edge Services, Inc. has more than 20 years' combined experience as clean room specialists. Reduce risks and hazards. Stay compliant. 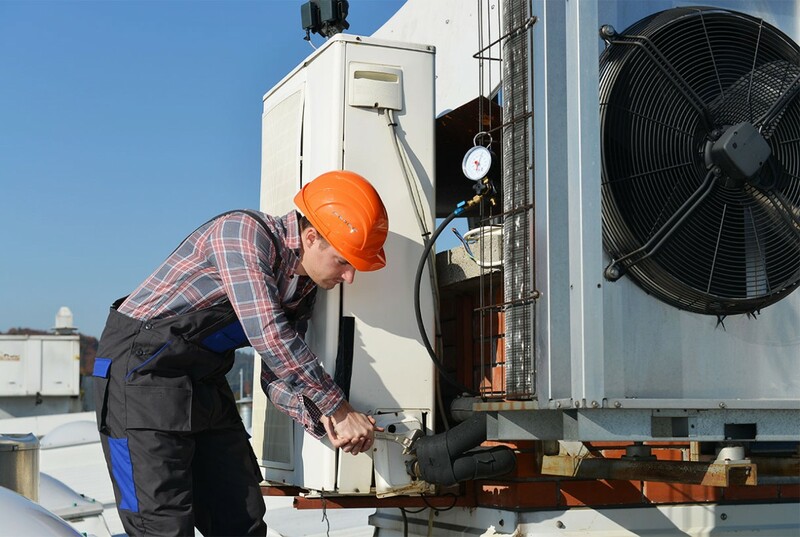 We'll repair your AC so your employees can perform at their best. We're a full-service company handling everything from industrial sheet metal projects to process cooling. Let CESI be like your "in-house" AC Technician. Our low-cost maintenance programs include priority service during heat waves. Prevent breakdowns. Save money. Based in Orange, California, Cutting Edge Services, Inc. provides industrial and commercial (HVAC) repair and installation services throughout Santa Barbara, Ventura, Kern, Los Angeles, San Diego, Orange, Riverside and San Bernardino counties. Cutting Edge Services, Inc. offers industrial and commercial air conditioning and heating (HVAC) repair and installation to businesses throughout Santa Barbara, Ventura, Kern, Los Angeles, San Diego, Orange, Riverside and San Bernardino counties. Take care of your HVAC. Maintain a healthy work environment. Industry leading technical expertise and experience assures cost effective, innovative and flexible solutions for new projects or retrofitting/renovation of existing systems. Cutting Edge serves the Industrial, Commercial and Institutional marketplace with complete design and build capabilities for custom Heating, Air Conditioning, Refrigeration and Metal Fabrication. We use the latest technology to delivery creative solutions sensitive to the unique needs of each customer. Our quality systems are designed and built to deliver comfort, energy savings and outstanding performance. We offer custom preventive maintenance programs, and our certified technicians deliver comprehensive field service to our customers 24 hours a day, 7 days a week.